Ema Patrichi of Ema’s Decorations dabbles in a little bit of everything – purses and accessories, party decorations, gift cards and educational toys. 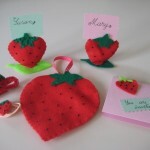 She works in felt and paper alongside her daughter, who has managed to create a few cute items for the shop herself! Tell us about what it is like to balance being a mom and Etsy seller. 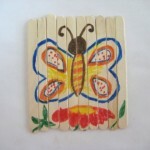 It is not difficult for me to be mom and an Etsy seller. I like both because every day is a challenge to search for new ideas and to maintain a normal course and a chance to prove my abilities. Sometimes, life is like a business – you have to make a great deal; other times, business is like family – you have to accept others as they are and to be a part of this big family. Being a mom, I want to be a model for my daughter. I am a model for her because even though she is only 5 years old, she already wants to be a mom just like me when she grows up. Being a seller, I don’t know yet and this is not so important. But I want to teach her to be creative, to do something with her imagination, to learn to do something when she is happy, or sad, when she has time, or to do something not for selling, but for herself, for friends, and for the simple idea to create something from everything. 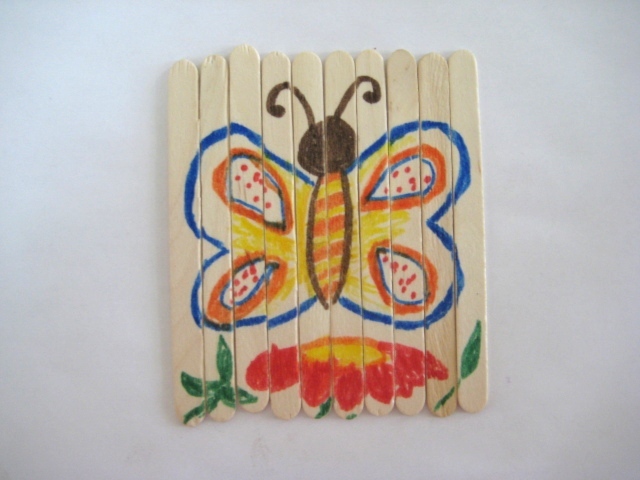 Your educational items are such a neat idea. Do you have a background in education and/or childcare? Yes, I have. I graduated Pedagogical High School and I have a Master’s Degree from a Faculty for Sciences and Letters. I am a teacher and over the years I studied alternative educational systems: Waldorf and Step by Step. I like children and my daughter inspires me every day. 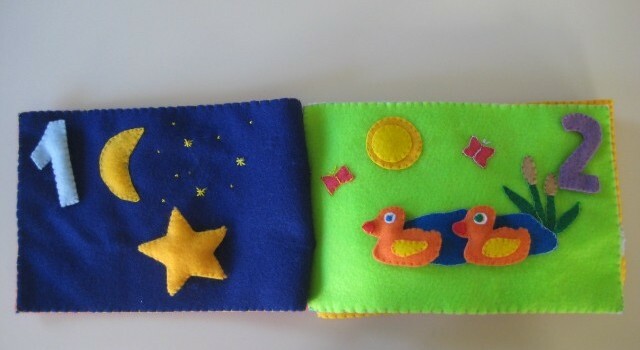 I love the felt counting book – what made you think of the idea? 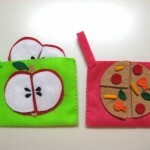 Many years ago I saw a felt book at a friend from Japan and I liked it very much. When my daughter was baby, I wanted to have a book like this, but I couldn’t find one. Now I draw and sew one from my imagination. I wanted to create a funny and interactive book for children and for parents too. What made you decide to do bags for the half and quarter instead of the book format you used for the numbers? My first idea was to make a book, but then I realized that I had too many pieces and they needed a place to be kept. A bag was a great idea for this project, especially as the children like to hide their things – they like bags and small containers. Does your daughter have a favorite item? She likes everything with ballet theme. But if you ask her what her favorite item is, she will tell you she likes everything. She prefers a bag one day, and something else the next. Children are like this, changeable. She likes to play with the counting book, although she knows to count. She likes to be admired by other people and she always takes a bag to keep tissue and a lip balm in. Theme parties are all the rage with young ones these days. Where do the themes for the decorations come from? 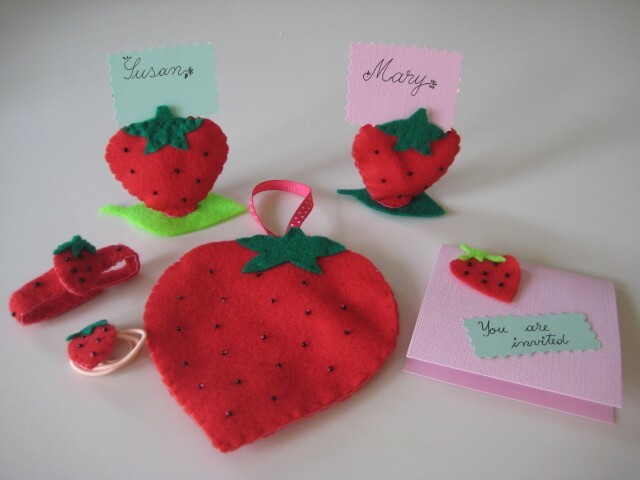 It’s a simple idea for kid’s party supplies from felt, nothing special. One day, I had this idea and that’s all. Then somebody told me in an Etsy forum, that it is an interesting idea, much different from commercial products. So I made Ballet Party Supplies. I have to think of something for boys. I have a daughter and I have neglected to make something for boys. 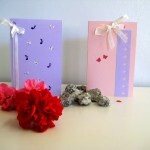 You also have cards in your Etsy store. Can you tell us about how they came to be? 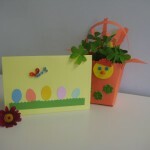 I have cards made by myself and cards with pictures made by my daughter, because she likes to copy me. But I think it’s a good exercise for her to try to make something creative. I collect ideas from everywhere. Everything is beautiful and delights me as a source for inspiration: apples from the store, a bow from a dress, a butterfly form my garden, a song, the spring. Before you started selling on Etsy, how were you selling your crafts? 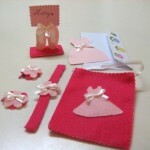 I hadn’t sold elsewhere, but I made little things for my daughter, for me and for my friends. 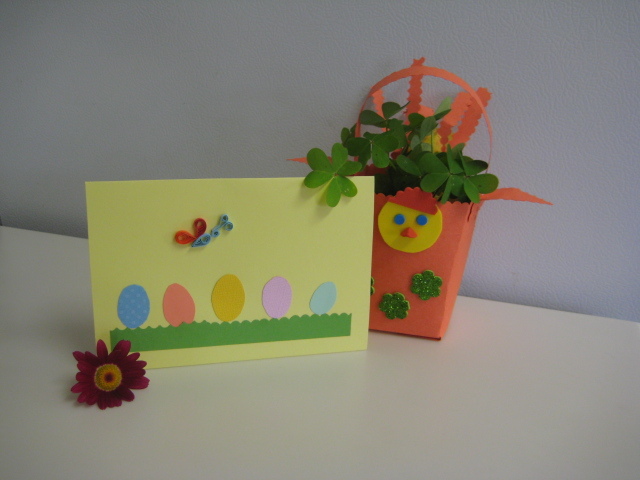 I like to offer a handmade card made by myself instead of one that I bought. 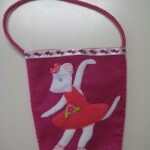 My daughter gave me this idea with a store: she played with purses that I had made for her as if she were in a shop. I checked out your website and like the tutorials. What aspect of your website are you most proud of? I am proud of my entire blog, because everything on this blog is made by me. Many days I searched how to build a blog, how to write a blog, or how to promote one. If I had to choose one aspect, I’d choose the tutorials from my page How to make because they show my creations and my work. When I make a tutorial, I want every person who is searching for something easy to make with his / her child to find out in my tutorial a simple and clear way to do it. What made you decide to start a Facebook page? Are you finding that it helps increase exposure to your Etsy store? I built my Facebook page like my blog: I learnt from others. On the other hand, I like to interact with people like me or people who have a business. It’s a good way to promote a store. 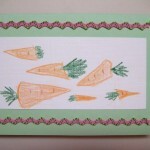 Visit Ema’s blog for tutorials, inspiring crafts and videos of her daughter the budding young crafter. I’m looking forward to more educational items – I can’t get enough of that counting book! 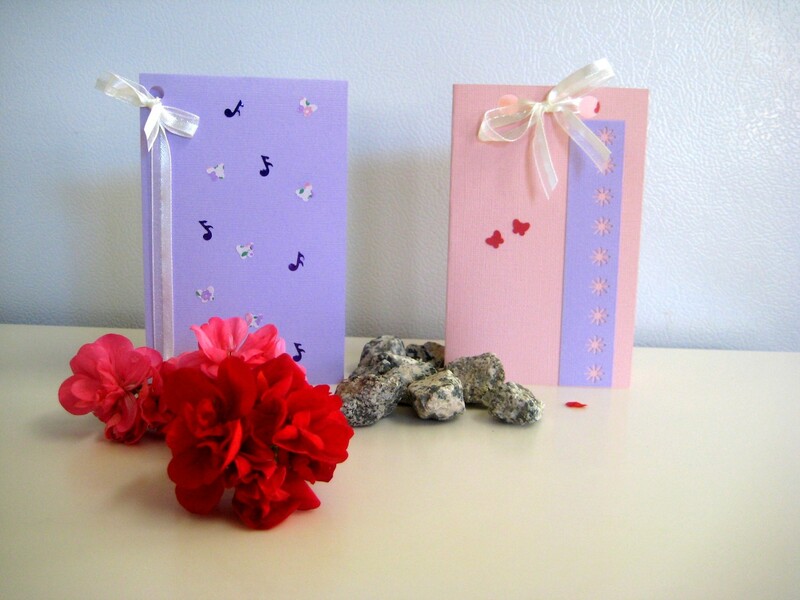 Very nice article about this etsy seller…:D Congrats and hope you get a sale soon!!! Hello. You are GREAT ! Thank you.